Bullet Wisdom: What Drives You? What drives you? What motivates you to overcome obstacles and drive for success? Why do you want to be published? Fame and glory? Or maybe something more pure and altruistic, like having a story to tell and wanting to share is with a broader population. When I was a younger man, my brother and I used to rock climb. We would spend hours and hours, pouring out sweat and blood, trying to figure out some insanely physical technique to work our way up unforgiving vertical slabs of stone. There really was no point to it, neither of us received any money or fame. In the end, we simply climbed, as the saying goes, because it was there. When I started writing in January of 2009, I did it because I was bored and wanted a way to pass time separated from my wife in Iraq. Inspired by long travels punctuated by a pile of popular Urban Fantasy, I found my head a swirl of ideas and inspiration. So I started typing. Eight months later, there was a 150,000 word manuscript. Gravity took hold; I'd completed a novel. Wow, can't say I knew too many people that had done the same. Pretty cool. I got a crazy idea: publish it. So I look into self-publishing. Seems promising at first, then kind of gay. Publishing yourself is like being the first kid in the neighborhood to do the triple flip at the public pool. If no one sees it, it never really happened. So, more Internet, more research, and the lessons came fast and furious. Queries, what are those? Rejection letters. Yay. Who are these agents anyway? What is an Online Writing Group? People that provide you feedback for free? Hells yeah. Then back to reality: I have a lot to learn. And learn a ton I did, not only about the art and science of telling a good story, but of the profession, market, and all the players, agents, and publishers who make the whole thing go around. In particular, I've taken note of a few statistics. The blogosphere is full of folks, professional and amateur, using their valuable time to assist aspiring authors like myself. One in particular I enjoy, is a writer and former slush reader, Jodi Meadows. Look at the numbers; do the math. That's what drives me: a thousandths of a single percent. Agents and publishers are not obstacles en route to my success, they're the mountains of my youth, my Mt. 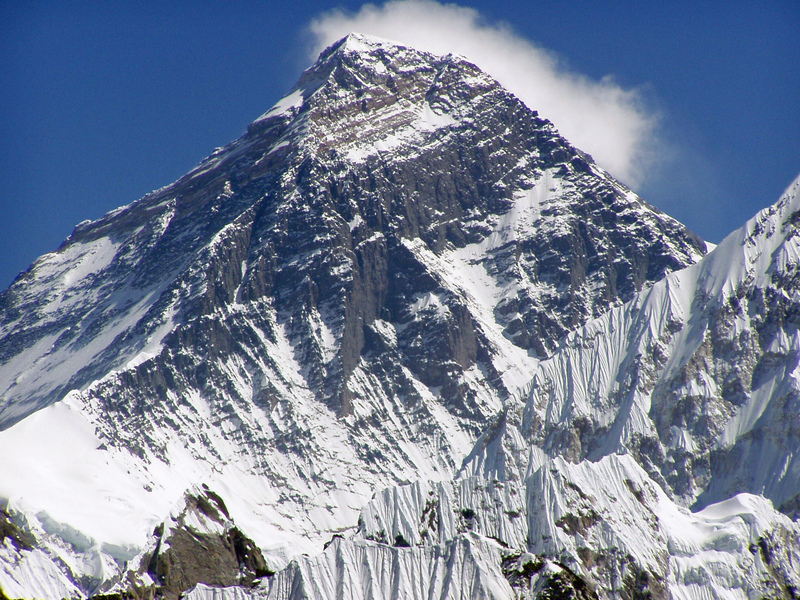 Everest; something to stand on necessary to get to the top of the world. I never undertaken anything with this statistical degree of difficulty. But that's okay, I don't want this to be easy. A few years from now, when I'm staring at my book sitting on the shelf at the local Barnes & Noble, I want to savor all effort it took to get there. Damn it's fun. What drives you? I've gotten so close...that's what drives me. To give up now would be stupid. That's what keeps me going. The time I spend writing disappears..an hour goes by in a minute..I get so caught up in what I'm doing that I don't even notice when the sky gets dark and it's time to eat something. I walk away from my work feeling wonderful...even on the most frustrating of days. I believe that I will succeed...maybe not every day...but most days, I believe it will happen. After a binge reading session where I chewed through about 60 urban fantasty books in about three months, I was thinking of how much I loved reading them, but that's not how I would have done it. So I sat down at my little laptop and started plucking away, not having written anything except regergitated crud for college in a while. Then I had three chapters, and didn't know what to do. So I called up my BFF and said "read this for me." It was horribly written, flawed beyond belief, and she emails me back: I want more. So I orginally finished the story for her, but since joining the writing group and learning and getting better, I'm now doing it for me. What drives me? I want to see my name on that shelf in Barnes and Noble next to yours BW, especially after the swift kicks in the rear my BFF has given me in the last year. What drives me is passion. I picked up a pen and spiral notebook at the age of 12 and have been hooked ever since. Writing is like breathing. I have to do it. But not only that, I love to do it. Odds be damned, I will do this. I guess for me it's just the simple fact that I want to write a book. In fact, I have written one... I just need to work on polishing and publication. Those statistics don't scare me, but neither do they motivate me. I just feel secure that my work deserves to be published, somehow, sometime. I think its the same thing as you BW. Its the challenge and the need to get my tale told. One of these days I'll hit that magic manuscript idea and get it all done properly rather than half a dozen half completed tales. Keep on writing and may the muse of all kind. Good question. I think my drive is sometimes like an old British car, persnickety. It fires on all cylinders but only intermittently. What drives me, well, the stories, the need to tell people about the lives of my characters. The belief that these stories matter. Success in the literary short story market is even harder to find than a needle in a mountain of hay. I had the idea that I should have more short stories published before returning to my novel (second draft), but after reading recent stats I think I'm probably wrong, so in May I'm going back to work on the novel. In the meantime, I'm trying to get more stories back on the road. That is, when the engine works and Im not dealing with any crises. Sorry the reply is so long.